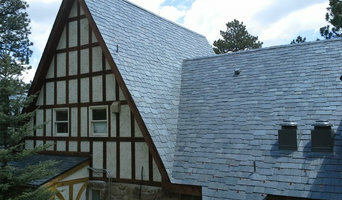 We are roofing contractors with over 15 years experience. We specialise in all aspects of roofing from tiling and slating, flat roofs, leadwork, conservatory roofs and roof repairs. We offer high level roof maintenance, domestic and commercial services. 24-h call out service available! We're Permicoat, an awarding winning flat roofing contractor based in Preston, Lancashire. We've completed a wide variety of roofing and waterproofing projects throughout the UK such as Preston Bus Station and the Lancaster Chaplaincy Centre which we won the LRWA (Liquid Roofing and Waterproofing Association) award for in 2017. We offer a diverse set of services such as drone surveys, roof condition surveys, the installation and design of roof access systems and the installation of liquid roofing systems, as well as many more. Welcome to P & M roofing and building solutions. Our team with years of experience can handle all types of roofing projects from one slate to a complete new roof - - From luxury to budget options to save you money. We can help Free estimates. Free site surveys even free advice - - If you have a roofing problem we can help - - Call us! Your welcome! Our website only lists some of our services. For more information on how P & M can help, please feel welcome to call us! 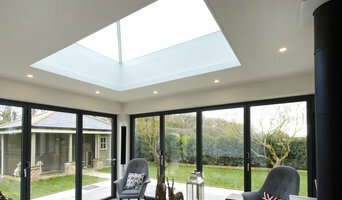 Your roof is important - - It protects your home, Property and keeps you warm! It protects you from rain storms, ice and snow - - at all time when you might want to keep away from the UK Weather! We have all see this on TV in the last few years the weather in the UK is getting more unpredictable and unstable... a cozy home is a great Idea! Not only do we provide new roofs we can complete all types of repairs, we can also provide checks to ensure a new home has a good solid roof - - protecting your pocket - - even for new home purchases. We also provide budget options for older roofing that can simply need a make over, our roof coating systems can give your home a new look - - cheaply and efficiently and at a very low-cost. We are specialists in all kinds of re-roof situations whether it be slated, tiled or stone. All the materials we use are to the best quality and we can provide samples of whatever tile, slate or stone you have in mind. At MW Roofing (N/W), we pride ourselves on our meticulous approach, and high standards of workmanship. We are registered members of Trust Mark, Fair Trades, and Home Pro. 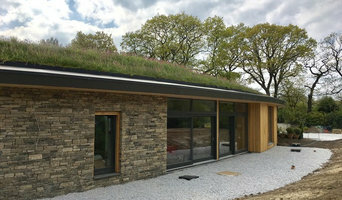 We are are also approved installers of GRP fibreglass flat roof systems. Contact us today for a quote. At MW Roofing all our team are approved installers of GRP flat roof systems and have been fitting them for over 4 years now. All our roofs come with a 25 year guarantee. There is no substitute for this product in terms of durability, and they will most probably outlive the main roof structure. Roofer for new roofs and roofing repairs in Salford and the Greater Manchester areas. Why should I hire Stockport, Cheshire roofers to handle my roofing and guttering? There are a wide variety of materials available and your Stockport, Cheshire roofers can help you decide which option is best. You might look at clay, slate or concrete tiles and your choice will depend on cost, the style of your home and the local roofing style. In the North West of the UK you will see a lot more slate tiling, whilst in the South East there is an abundance of clay roofs. 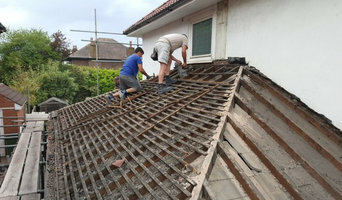 If you are in a conservation area you may find that your choices are more limited and you may need to look for reclaimed tiles; local Stockport, Cheshire roofing contractors will be knowledgeable in this area, so ask for their advice, too. 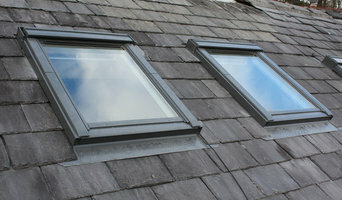 How do I find good Stockport, Cheshire guttering specialists and roofers? Search for Stockport, Cheshire roofers and gutter cleaning specialists in the Find a Pro section of Houzz. Read their profiles, try to match their core skills with the problem in hand – some specialise in flat roof repair using roofing felt, others only work with roof tiles – and then see what previous customers have to say about their quality of service. Ask for personal recommendations from friends and family. Ideally your shortlisted roofing and gutter specialists or experts are members of the National Federation of Roofing Contractors (NFRC), the Guild of Master Craftsmen or the Federation of Master Builders (FMB). Each trade organisation demands a high level of expertise and imposes a code of conduct on its members. TrustMark is a government-endorsed scheme that independently assesses tradespeople and allows you to lodge a complaint if necessary – look out for that. Call them round for a consultation and make sure you request a written quote. Cheapest is not necessarily the best; more importantly, who can you work with? Find Stockport, Cheshire roofers and gutter cleaning professionals on Houzz. Narrow your search in the Professionals section of the website to Stockport, Cheshire roofer or gutter specialist. You can also look through Stockport, Cheshire photos by style to find a roofing project you like, then contact the specialists or roofing contractors who designed it.